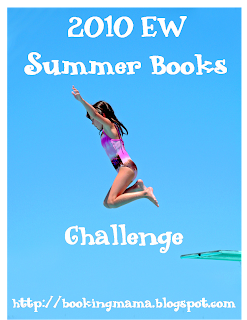 Welcome to the 2010 EW Summer Books Challenge -- this is where you can post your review links. I am looking forward to reading all of your reviews! Please leave your link in the following format: Name (Book Title) – e.g. Booking Mama (The Particular Sadness of Lemon Cake). This is fun--and I'm glad you opened it to people without blogs! My blog is cooking, not booking, related! Yeay...this worked. I don't have a blog but wanted to leave a review for The Invisible Bridge. I love a great story- and this was a great story. Andras Levi, a Hungarian Jew leaves his family and journeys to Paris to go to school. Just before he leaves, he is asked to deliver a mysterious letter, whose contents are subject to his imagination. The relationship that develops with the recipient of this letter sets the stage for a great love and journey. 4.5 stars and I enjoyed it!! I agree with corndogs on "The Invisible Bridge"--it was so good! Posting a link to my review! Looking forward to some great summer reads- my first was the quite serious and amazing WAR by Sebastian Junger. I just posted my first review. I am loving reading books that are a little outside my little box. I thoroughly enjoyed "The Invisible Bridge" by Julie Orringer. I can't wait to read the next book!! I don't have a blog either but I will leave this review and hope it works. I read The Short Second Life of Bree Tanner. I liked it but struggled in some areas of the book because I felt they were incomplete. I wished some characters were developed more or at least explained more. I did LOVE reading about the main Twilight cast again and her writing style is still wonderful. All in all I liked it but not as good at the main 4. I just finished "Girl in Translation" and thought it was a great read. It was much like "The Help" when it came to how addicting it was but not really knowing why. I thought I wouldn't like the ending but I loved it. It was bittersweet. Hard to realize this is probably a reality for people today. It makes you really appreciate what you have. Glad to see there are others who are as obsessed with EW as I am! Sorry I linked twice :( forgot to put the name of the book in the title post. Can't wait to see what others thought of Bree Tanner. The Passage-Wow!For about the first 300 pages, I was amazed and thought for sure that this would end up being a 5 star rating from me. However, it was just too long. It's almost like the author took a break and then forgot the style he was writing in. The book definitely continued to have moments that were really good- but at more than 750 pages- too long and something was lost on me. The Passage- A virus turns the country into bloodsucking vampires. I loved, loved, loved about the first 300 pages of this book. I loved the plot, the characters, the action, the unexpected twists. The story and the writing were incredible. But then- the writing style seemed to shift and the story was written from the perspective of primarily different characters than we were introduced to in the beginning. At that point, it lost me. It was a LONG book...over 750 pages. To me- what could've been an incredible book became a nice effort and only good. But LONG! The Particular Sadness of Lemon Cake left me very hungry for lemon cake with chocolate icing, but that's about it. I really expected to love this book. The premise was promising and it started out deliciously. However, it was a strange book. Many characters and plots were left undeveloped and unexplored. And the subplot about the brother...forget it! That's when the book totally lost it's credibility with me. Half Life left me disappointed. At times the writing was strong, yet I never felt connected to the characters. Nor was I particularly interested in the outcome. I stuck with the book, hoping it would get better. Ultimately, it left me flat and I was glad to be finished with it. The Passage started out on such an amazing level for me. I loved everything about it and had a feeling it was going to end up a 5 star book. The first 300 pages were so well written. The characters were so well developed. There was intrigue and suspense- twists and turns. I really loved it! Then there was the rest of the book. It was almost as if it was written by another author. It was a LONG book. I think it should've been wrapped up sooner. If it could've been contained in about 400 pages- I think the story would've been better. It really started to drag for me. 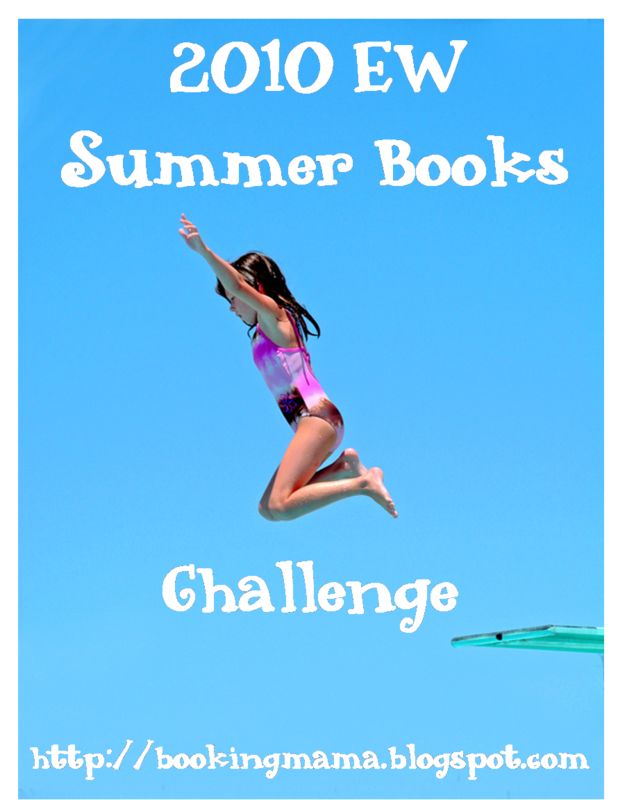 I've read three books for this summer challenge and didn't write an official review for The Girl Who Kicked the Hornet's Nest. Although there isn't as much action and heart-stopping scenes in the final book of the Elisabeth Salander trilogy, Hornet's Nest nicely ties everything up. It's important to read all three. This book was really just boring. Nothing very interesting or exciting. Just OK. It was short and very easy to read. I liked that it was from 3 different points of view. Toward the end I started to get all the characters confused.